This rogue application displays a fake information, pretending that it is scans the user’s system. 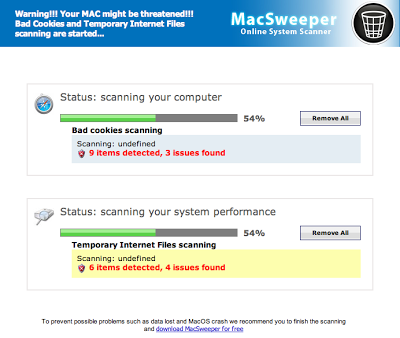 It then displays a fake Alert, showing that bad cookies and files were detected. 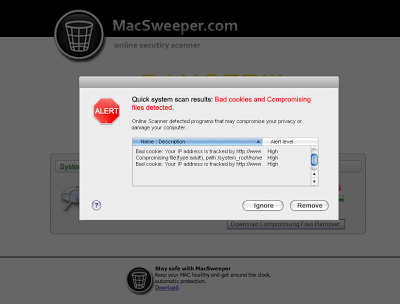 Once the user click “Remove”, it will download MacSweeperSetup.dmg and install MacSweeper.app – the rogue application.